If you are looking for a steel fabricator in Illinois with the experience, skills, and reputation for creating a quality product, contact TITAN Industries, Inc. We serve commercial clients in the Midwest with fast fulfillment, professional service, and a durable and to-spec product to help keep your project on budget and on schedule. If you would like pricing or scheduling information, contact our office at (309) 440-1010 today! If you are interested in using steel on your next commercial building, call TITAN Industries, Inc. We are a premium steel fabricator and manufacturer located in Illinois. Call (309) 440-1010 to let us know how we can serve you. In the Midwest, there is no shortage of building material manufacturers and fabricators. But there are some key characteristics that set TITAN Industries, Inc. apart from the competition. We have extensive experience in working with large corporations and organizations. We can anticipate your needs, understand your requirements, and deliver the material you need when and where you need it. Our team is happy to sit down with you, discuss your budget, specifications, and special considerations. We welcome any project, large or small, and are happy to help you work through any challenges. 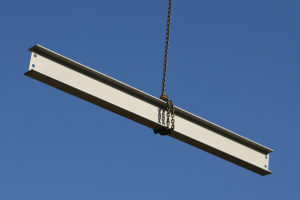 If you are looking for a steel beams fabricator in Illinois, Contact TITAN Industries, Inc. Call (309) 440-1010 for more information today!